10 June 2012, 3 Years Ago This Week: I spent a few days in Greenwich for my 40th birthday – it seemed appropriate to go back to the Source Of All Time as I celebrated being (hopefully) halfway through mine. I remember Greenwich as a kid being quite grotty – my parents took me to see the magnificiently restored Cutty Sark tea clipper – but now it’s full-blown Heritage London, and deservedly so – it’s one of London’s greenest areas with spectacular parks, architecture – especially the Naval College – and, of course, the Greenwich Observatory. 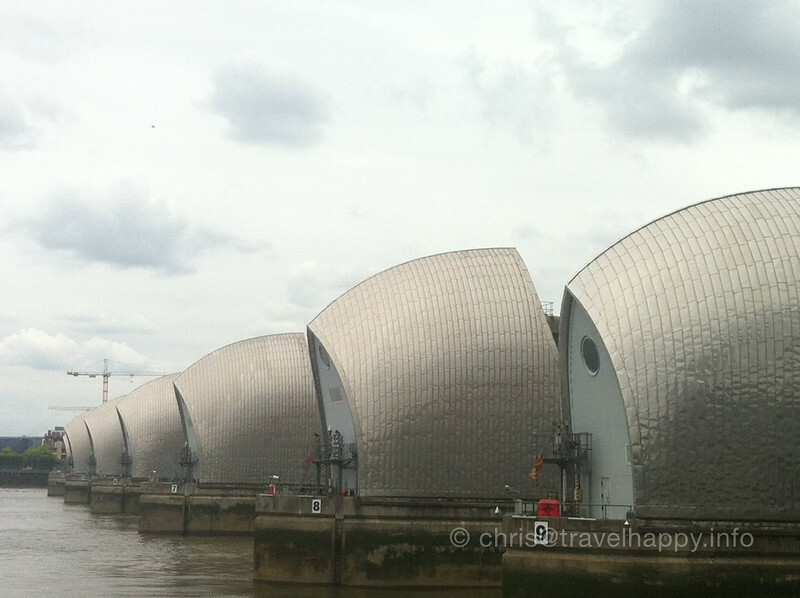 The Thames is ever present in Greenwich, and a few kilometres along from the Greenwich’s history sits the Thames Barrier, originally startlingly futuristic in design when opened in 1982 but now looking like something created by Frank Gehry. The Barrier is often forgotten amongst London’s innovations, but it protects the at-sea-level city, and in recent years it has been used far more often to hold back the waters which would otherwise threaten London’s financial district and, with it, the global banking system.